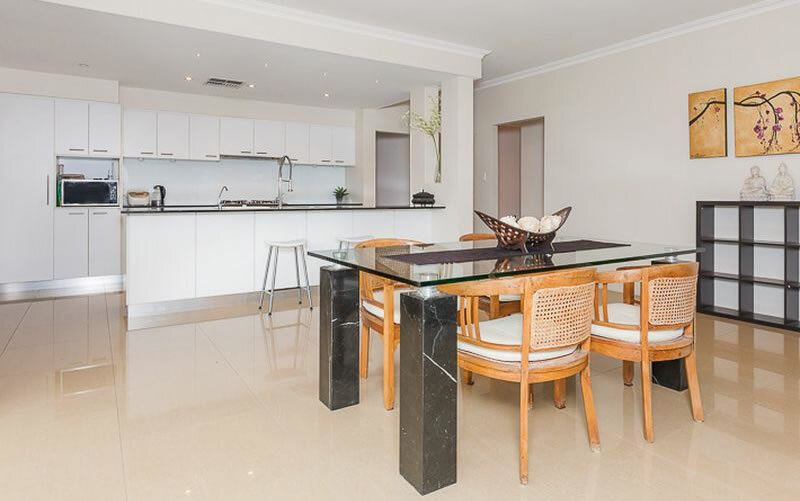 Exclusive Property Management service from Two Rocks to Joondanna, Hocking to Hillarys and all surrounding suburbs north of the river up to Perth City. 24/7 Exclusive Property Management Service guaranteed. An exclusive service for Landlords with investment properties north of the river looking to engage a professional Senior Property Manager who is also the Director and business owner of Sue Heggs Property Management Pty Ltd.
A full property management service including residential property leasing. A Director, Senior Property Manager, Leasing Agent and Financial/Trust Accounts Management expert with over 20 years experience in the Residential Real Estate industry. Dealing with the Business Owner at all times who not only manages your property, but also manages your trust funds and personally leases your property when vacant. Regular routine inspections and maintenance are fully guaranteed and a dedicated property management service like no other. Contact and Communication Guaranteed 24/7 !!! A service provided for tenants looking for their next rental property. Keep up to date with new listings before going to market. Register with Sue Heggs Property Management to jump the queue and be the first in line to view properties before going to market. Sign up for our tenant registry and we will notify you of any suitable properties before they go to market. Best property manager I’ve met! I've recently found myself needing to find a rental and it was hard to get to view properties through most agents. I found myself constantly having to call as no one would return my calls! Sue goes above and beyond to fit in viewings with your work hours and if you're an owner this is something you would want! You're paying someone to find you a tenant and they are letting them sit empty as they don't account for people not making it to the home opens due to work. Plenty of other rentals I've wanted to look at through other agents I haven't been able view to as they won't do viewings outside of my work hours, so they are probably still empty. Sue was punctual, accommodating and beautiful friendly service. Highly recommended for owners and tenants alike. Sue is by far the best property manager I have come across in my 17 years of being a landlord and being with many real eatate agencies. Sue will not rest till she has found just the right tenant for your property. She is fair on tenants too. I highly recommend Sue - she works tirelessly and has a work ethic that seems to be lost generally within the property management industry these days. Always approachable and an excellent communicator - she has your beat interest at heart! I have been dealing with Sue for the last three years . She has an eye for detail and is onto any issue promptly. I would highly recommend Sue to any landlord or tenant as she is on the ball and works very hard to keep her clients happy . You will not be disappointed with this company . Worked with Sue now on a professional basis for 6 months. Never have I come across anyone more dedicated to her profession. If you are looking for property management that is levels above any other look no further than this lady. Hi Sue, You have certainly impressed me very much with your commitment and your professional attitude. As mentioned previously these are things I truly value and is the prime reason I decide to go ahead with you over (realty)... Obviously the "Accountant" in me brings out the cautious approach when it comes to dealing with all finance related matters. I appreciate your involvement outside working hours which is something I did not see with the company we were with previously. Hi Sue, thanks a million for going that extra mile. From my own experience not many Realtor's do that over here, so your efforts really have been appreciated and I wouldn't hesitate in sending people your way in the future. Have a good week. I must say a big thank you to you for your exceptional and personalised service. There are a lot of empty rentals I'm keen to see, however, you are one of the only agents who is providing any kind of service to me. No one calls back and if they do, it's near on impossible to view the properties. So thank you, you are a breath of fresh air!!!! Love it, love it, love it..... love that you guys are so efficient in getting this to me before the EOFY - wow - what a team! Better than any other Real Estate I have ever dealt with in my 17 years of letting my properties! Thanks Sue and team. Where do I start. I've recently (a week ago) come to Sue after seeing her adverts on FB. I've been with another real estate agency for my property for the past 4 years. I've been disappointed and frustrated time and time again at the lack of care for not only my property, but for myself and my husband as clients. Its hard to make a move simply because you just assume that all property managers are the same. Well I was wrong!! Reaching out to Sue and putting my property in her hands has been the best decision I've made for our rental property and for us as owners and any tenant that rents our home. Its not only important that the property and we are taken care of, but that tenants are also taken care of. It's been a long time since I've come across the kind of service that Sue provides and if we had more property managers like her, this industry would be at the top of its game. Honestly if you are considering renting through Sue or looking for someone to manage your property. don't spend months-years thinking that all property managers are the same. They are absolutely not!! Sue thankyou for being you and doing what you do best. I'm absolutely blown away at how much you have done for us in a week. I really look forward to continuing to work with you and am confident and relieved in the future with our property in your hands. "Hi Sue, Carl here hope you are going well with your new rental inspection team. It is a privilege to be a Tenant of your real estate. I am so happy here it is a nice place and great area"
"Thank you for everything and mostly you all being a wonderful Agent and assistants of Sue Heggs. Highly Recommend you guys. "After having such negative experiences previously it has been a joy to have Sue as a property manager ! Such excellent service"
Thank you for your prompt attention and very regular communication with us during this vacancy period. Thank you so much for your hard work on our behalf. We are very glad we met you. This is one of the main reasons why SHPM are very different to every other agent. At SHPM we outlay a huge cost on inspections to ensure your property is being reported thoroughly and all maintenance reported and dealt with immediately to ensure the upkeep of your home and to retain it's value. I understand what you are saying, it's just really difficult for us as we have always done the right thing by our tenants and just now realizing just how completely screwed over we have been by our previous agents. I didn't realize how bad it all was until you guys have taken over. @ SHPM we not only help our exclusive tenants to find their next home but we also help reunite our fur babies with their rightful owners…. The kids are over the moon! “Highly recommend !! Sue Heggs has been very helpful in finding properties for a few clients and friends” !! "Highly recommend !! Sue Heggs has been very helpful in finding properties for a few clients and friends" !! It was a great pleasure to meet you personally today. You have a great personality and a passionate agent. Thank you for the time you dedicated to us! Sue, you are amazing. We had previous property managers that promised the personal touch, but you actually deliver it! Sue, you are amazing. We had previous property managers that promised the personal touch, but you actually deliver it. Your team as well as yourself are a pleasure to deal with and you are on top of things before we even think of it. It is such a pleasure to have a property management team like yours look after our property. I cannot recommend you highly enough to anyone! "I’m happy to resign a 12 month lease, I am hoping to stay here for as long as possible as I love the house and the real estate agent"
We have often wondered what happened and where you went after leaving __________? I searched the net today and found you! Had you been able to tell us where you were going ( we presumed you couldn’t ethically) we would have requested you to take our rental with you. Soon after you left, your replacement rang to introduce herself and since then I have not had a single word of communication from her. We really miss you Sue and your wonderful service! I am not contacting you for any real purpose other than to say hello. Looking to make the switch? Find out why Landlords around Perth are making the switch to SHPM. Simon Marshall : I use Sue Heggs on my rental and I also work for her maintenance team. Wouldn't be able to find a more dedicated manager if I tried. Melissa Finlan : I second Sue! I was with a different property manager previously (a big chain) and my rental sat vacant for 8 weeks. Yes the fees were cheaper, but I was paying the mortgage with no one in there. Sue came on board and we had someone in almost right away. She basically works round the clock and is always very responsive and on the ball. For me it’s worth paying a little more to have peace of mind that she’s handling it all. Jeez you don’t muck around do you? “Jeez you don't muck around do you? I love the add on Facebook. You've already gone above and beyond my last real estate agents efforts, over the course of 3 years. "Thanks a lot for helping us rent out our house. Can't believe how quick it all happened. Highly recommended"
"Good morning Sue, Thank you again for the way you have gone above and beyond in seeing that the property was so well presented for my arrival and for your outstanding customer service". "Thank you Sue, you are the queen. We feel completely at ease leaving our home in your care". You do a fantastic job on looking after the property and all your hard work will pay off. Its nice that I am able to leave this all in your hands and I know you will take care of things. 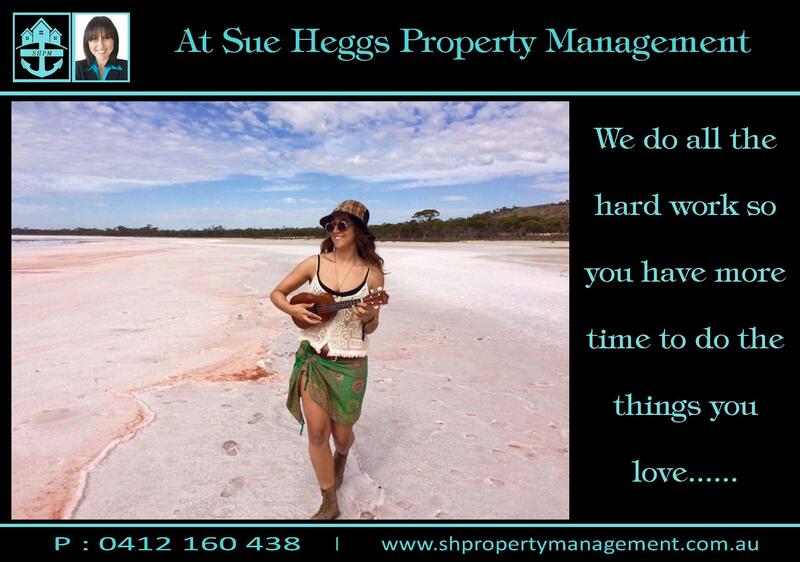 Sue Heggs goes above and beyond for property owners with a no nonsense attitude. She has done an outstanding job since we took her on as our agent and we highly recommend her services. Murray and I are very happy with the personal care and attention you give to us in regard to both our investment properties . I am glad you are on top since you have taken over the business about two months ago. I must say you are efficient, diligent and willing to resolve problems. Wishing you all the best in all the years to come in the business. You have shown your true colours over the last month with how you have handled our tenant. We cannot fault you in anyway and appreciate how quickly you have acted. Keep up the good work. You will be highly recommended by us. Another property leased before going to market ! "Can't thank you enough Sue, you've totally flipped my days around"
After having been on the market and vacant for 3 months with another large National Franchise Real Estate Agent, Sue Heggs Property Management leased this property before going to market!